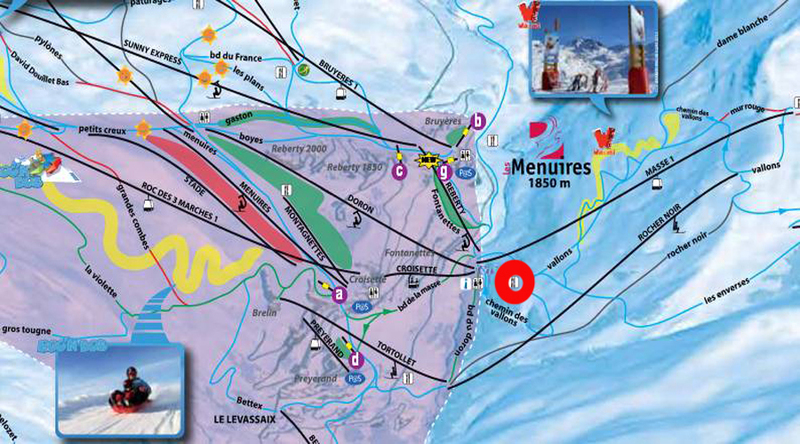 The Chalet de la Masse is situated on the Vallons piste and has been recently renovated. It has a huge terrace overlooking the resort. Stop here at any time in the day to enjoy the magnificent view, right until the sun goes down. At lunchtime the restaurant offers generous dishes at reasonable prices. In the afternoon, between runs, why not settle in a deckchair for a moment and enjoy a waffle or a crepe ? The property organizes Savoyard evening "unforgettable" learn! In summer, the hotel welcomes large and small for afternoon tranquility or for a break during a hike. 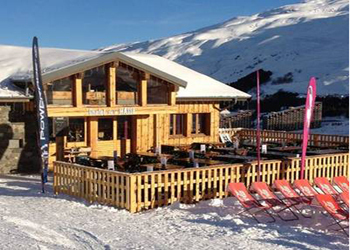 Le Chalet de La Masse is walkable in about twenty minutes walk from the station. - Open every day in winter from 9a.m.-4.30p.m. - Access by Masse 1. Take the slope of Vallons, the Enverses or the way of vallons. - Terrace with panoramic views over resort. - Possible to book evening events (reservation required). - Summer access on foot.